What was Manifest Destiny? Who was involved and what was the result? Set up your Lesson Chronicles Entry for Lesson 15. 1. Column 1: What are the headers and sub-headers? 2. Column 2: What else is important in the reading? What words are bolded or italicized? What are the pictures of and what do the captions say? 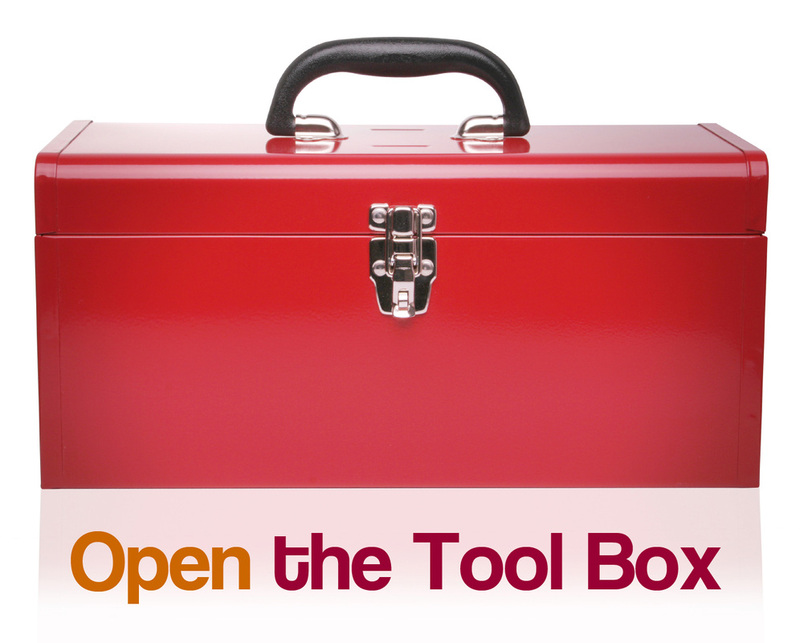 What information is squared off into boxes? What are the maps, graphs, and charts telling you? 3. Column 3: Leave blank until you read. 4. Bottom Row: Leave blank until you read. Set up your Skeleton Outline in your Lesson 15 Chronicles under the Lesson Mission. As we read, you need to record your notes in the last column. 1. What is the main ideas of each section? 2. What words do you need to define? 3. What people are mentioned and how are they important? 4. Is there any sequenced information? 5. Is there a causes and effect relationship? 6. Is anything compared and contrasted? 7. Is there a problem that needs a solution or is solved? 8. What is the conclusion or result? In the 1800s, the country started to grow quickly. Some people started to believe that the country should go from one ocean to another. They used this idea as a reason to go to war or take land from other countries. This idea was called Manifest Destiny. The painting to the left is called American Progress. It was painted by John Nast. It became a symbol of Manifest Destiny. The term Manifest Destiny was used for the first time in 1845 by a man named John L. O'Sullivan. He did not think the country should go to war to get land. He didn't think the government should have any part of it. He thought that people should just move west. When enough people lived in an area, they would apply to become a state. This is how the country should grow. The problem was that other countries owned the land in the West. President Thomas Jefferson helped with this problem in 1803 by making the Louisiana Purchase. France needed money to pay for war, so they were willing to sell the Louisiana Territory in the United States to raise money. 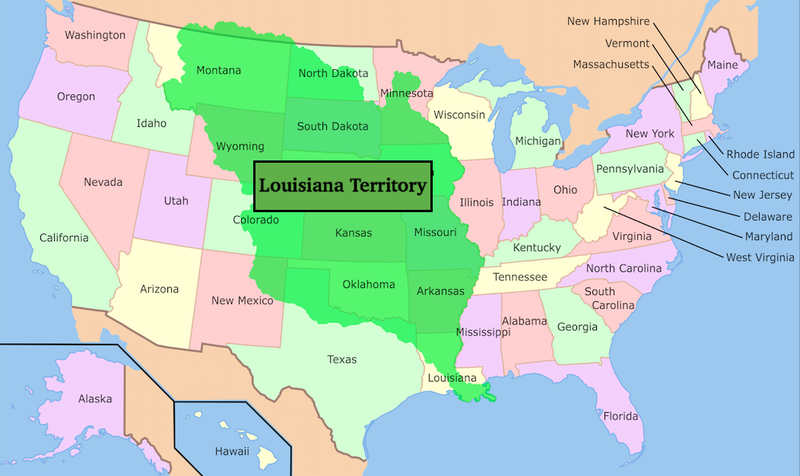 The Louisiana Territory covered the land from the Mississippi River to the Rocky Mountains. This purchase doubled the size of the country. People quickly began to move onto this land. But some people wanted to go farther west. They went into Texas. This land was owned by Mexico. It was not long before Texans wanted independence from Mexico. In 1836, Texas declared independence from Mexico and the Texas War for Independence began. After a war, Mexico lost and Texas was free. 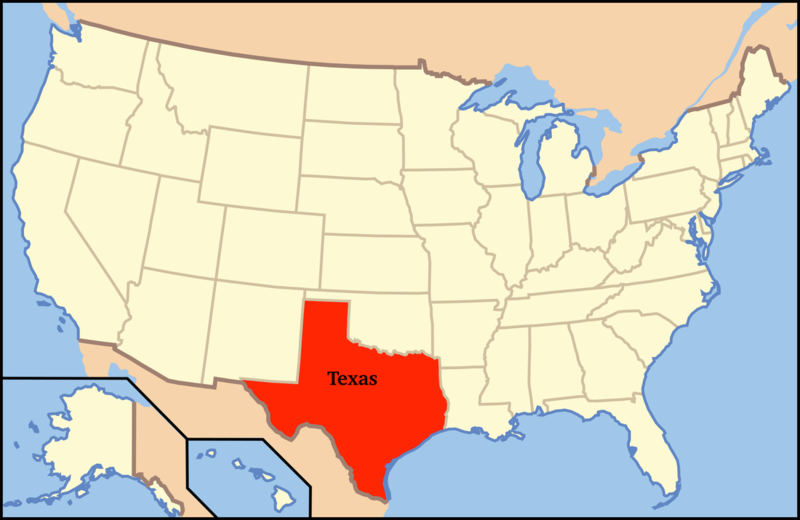 Texas applied for statehood and became a U.S. state on December 29, 1845. The Battle of Buena Vista was one battle fought in the Mexican - American War. Not long after Texas became a state, the United States went to war with Mexico. This war was called the Mexican - American War. Mexico was angry that Texas had become part of the U.S. Mexico was also concerned the United States would want more of Mexico to become part of the U.S. Eventually, the war ended with a treaty called, the Treaty of Guadalupe Hidalgo. 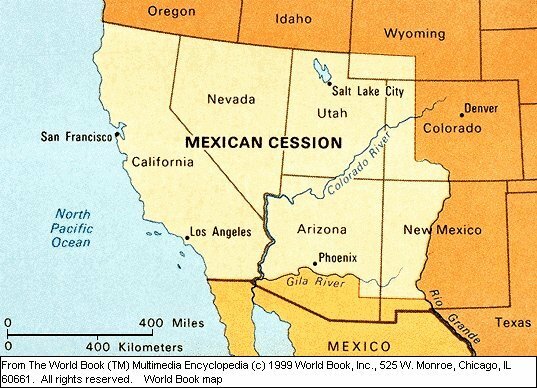 In this treaty, Mexico gave the United States California, Nevada, Utah, most of Arizona, about half of New Mexico, about a quarter of Colorado, and a small section of Wyoming. 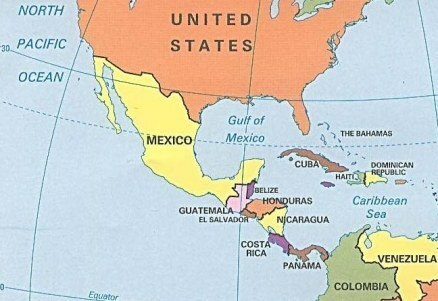 In return, the United States would not try to take any other parts of Mexico. Oregon also played a part in the idea of Manifest Destiny. 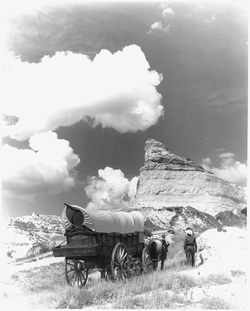 The Oregon Trail was used by people who wanted to go to this land in the Northwest. At first, the land was shared with the British. Some wanted the United States to own all the land in the West that touched the ocean. Britain did not like this idea. The two countries signed a treaty in the end. The land was split at the forty-ninth parallel. Britain got the land to the north. The United States got the land to the south. In 1853, the United States bought the remaining portions of Arizona and New Mexico from Mexico for $10 million. This was called the Gadsden Purchase. The United States now stretched from sea to sea. Though it would take a century for all of these territories to become states, the new territories completed the continental United States. In this short time, the country had gained a lot of land. The borders of the country are close to what they are today. It took more than fifty years for people to move away from the oceans. In less than one hundred years, the country had grown from one ocean to another. Though the United States had achieved Manifest Destiny, many Americans still believed the United States should continue to grow larger. This belief was called Imperialism. American Imperialism is the reason Alaska and Hawaii became an U.S. territories. In the second half of the 1800s, Secretary of State William H. Seward wanted to expand the United States even more. When Russia wanted to sell their territory of Alaska, Seward jumped at the opportunity to purchase it for the United States. He convinced Congress to purchase the land from Russia for $7,200,000. Even though Congress had approved the purchase, many people still questioned whether it was worthwhile. They called Alaska "Seward's folly," "Seward's icebox," and the "polar bear garden." Seward disagreed. One time he was asked what his greatest accomplishment was. He answered, "The purchase of Alaska! But it will take a generation to find that out." He was right. It was not long until gold was found there and people began making there way there to strike it rich. 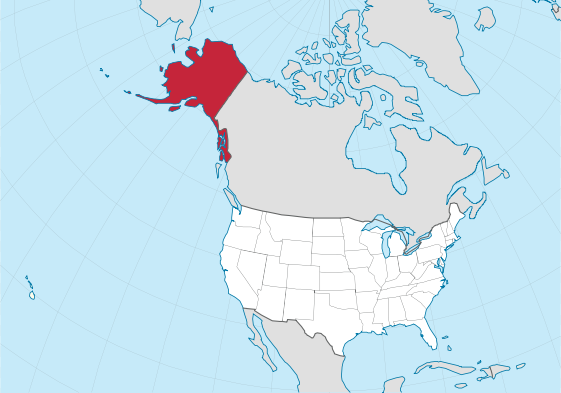 Alaska did not become a state however until January of 1959! In the late 1800s, several very powerful men owned large sugar plantations in Hawaii. 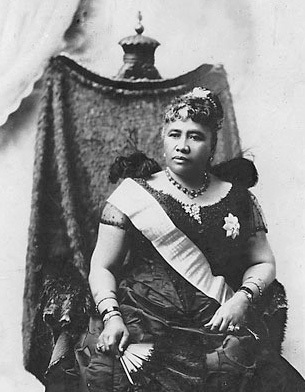 Hawaii was ruled by Queen Liliuokalani and these men were afraid she would hurt their businesses. So, these men used their money and power to overthrow the queen and convince congress to annex Hawaii as a U.S. territory. The decision to annex Hawaii made people in Hawaii and many Americans angry. They did not feel that the United States should have annexed Hawaii. 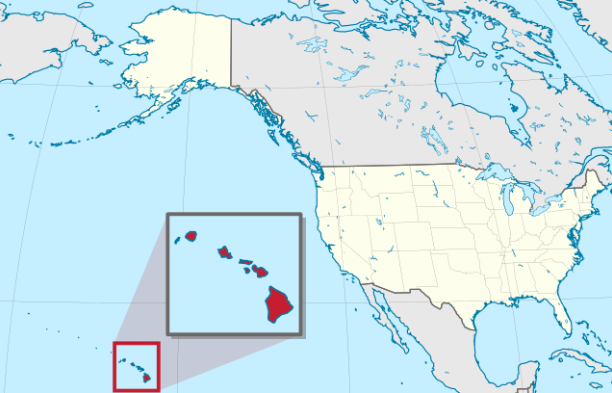 Because of the uneasy feelings about the way Hawaii became a U.S. territory, Hawaii would not become a state until August of 1959. Native Americans were killed, relocated, or forced to become like whites. Manifest Destiny almost ended every Native American culture. The belief in Manifest Destiny led to many good things and many bad things. On the positive side, the United States grew in size and became a strong, powerful nation. The new lands gave the U.S. many valuable resources that helped the American economy to thrive. The land also gave many people new opportunities and allowed them to have better lives. On the negative side, the idea of Manifest Destiny gave Americans an excuse for taking things that did not belong to them. Manifest Destiny was responsible for the genocide of Native Americans. It made Americans greedy for land and led to American Imperialism. It took freedom away from Native Hawaiians. The results of Manifest Destiny can be looked at as mostly positive or mostly negative. As with any issue or event in history, a person's experiences and understandings will determine their point of view. So this reading will end with a very important question for you, the reader, How do you view Manifest Destiny? DIRECTIONS: After reading, you will click on the button below and put in the password given to you in class to view what you should have in your notes. We will then discuss why these things are important and talk about the reading as a whole class. 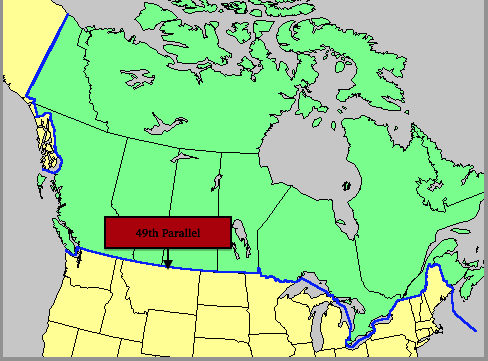 49th Parallel: the line of latitude located at 49 degrees north that served as the border line between Canada (then a British territory) and the United States. Everything North of the line was British Canada and everything below the line was the United States. DIRECTIONS: Are you ready, once again, to play the Amazing Race! 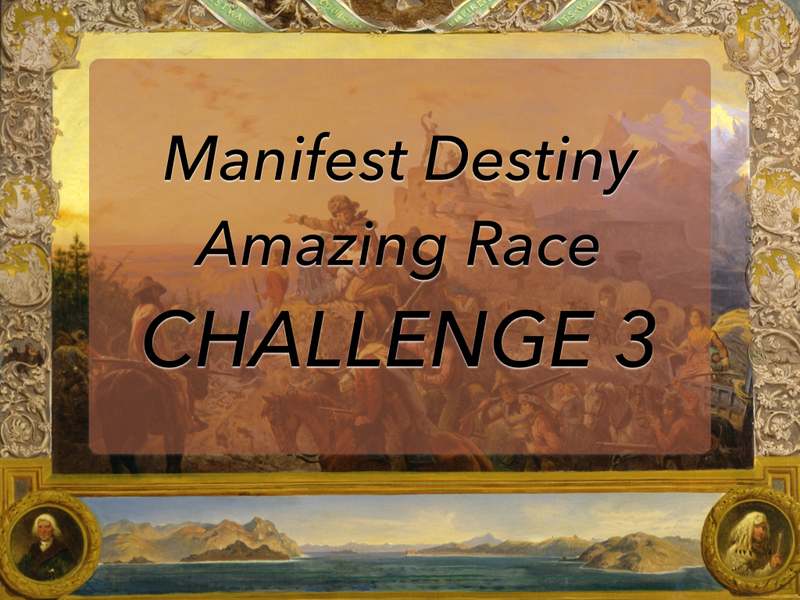 In this race, you and your teammates will compete against the other teams in the class to complete four challenges about Manifest Destiny. You must successfully complete each task before you are allowed to go on to the next task. If you do not successfully complete the task, you will be sent back to redo it. IT IS VERY IMPORTANT TO READ AND FOLLOW ALL DIRECTIONS! Congratulations! You have completed Lesson 15 Module! Want to Know more about Manifest Destiny? Click on the link below to go to the Manifest Destiny Told in 141 Maps to see animated Maps of Westward Expansion. Want to Know more about Manifest Destiny? Click on the link below to go to the Animated Atlas and see a animated video about Manifest Destiny.